My little man has been sick for the past two weeks and our state is being brutalized by some massive thunderstorms and tornadoes at the moment, so mama has been a bit busy! 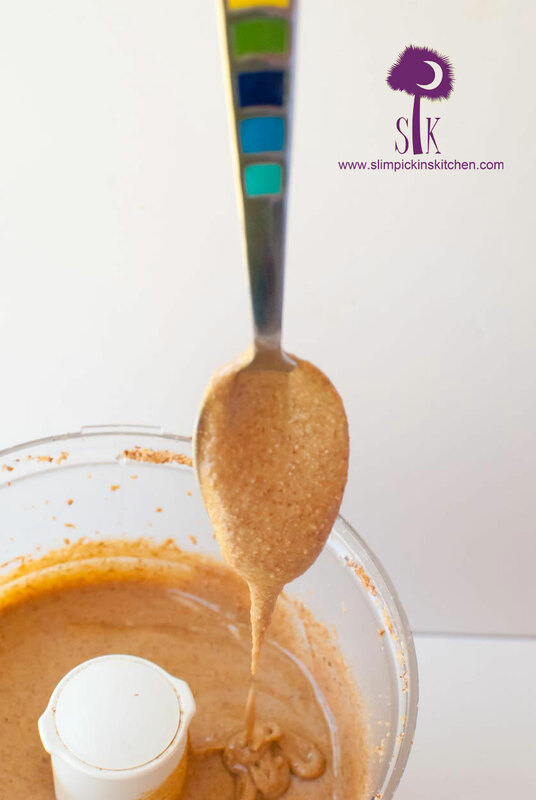 Luckily I have a guest post for you this week, and a family friend has been gracious enough to share her absolutely fantastic homemade cinnamon peanut-almond butter with us today. I’d never made my own nut butter before, so I jumped at the chance to have her stop by for a visit. I made this over the weekend, and I have been stuffing a spoon in it all.week.long. It really does stay spreadable straight from the fridge! Hello! 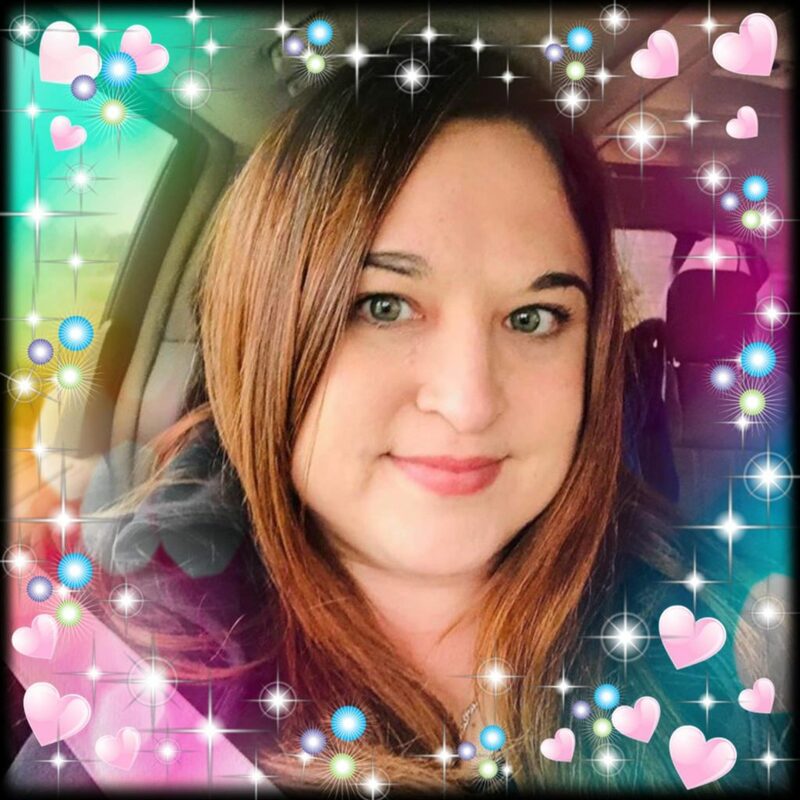 I’m Crystal, and I’ve been friends with Amber’s brother and sister-in-law for 17 years. 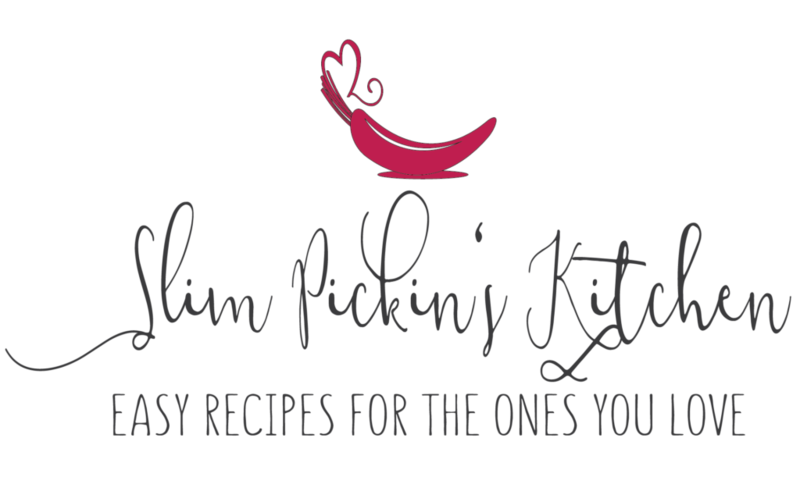 I’m also a fan of Slim Pickin’s Kitchen! I’m not a food blogger, but I have a growing cache of recipes that I’m known for in my circle of family and friends. 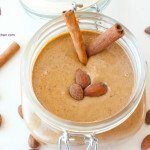 I wanted to share my Cinnamon Peanut-Almond Butter, if only because I’m asked for the recipe (or just the final result!) so frequently. In my household, we have been steadily weeding out processed foods for years. One of the casualties was store-bought peanut butter. First, we dropped the JIF and went with a natural peanut butter made with no sugar. Then, we started checking out other nut butters, like cashew butter and almond butter. I discovered a couple with interesting flavors added in like maple or chocolate. Once you realize your favorite food only has a couple of ingredients, the logical next step is to see if you can make it yourself. If you did decide to buy this at the store, I’m not sure where you’d find it. The closest thing I’ve seen is one that also has ground up raisins as an ingredient (not what I was going for) or an Archer Farms’ version, but it’s made with sugar and cinnamon oil (no, thanks). This cinnamon peanut-almond butter is delicious and the only difficult thing about it is cleaning the food processor afterward. I tend to make 6 or 8 pint-size mason jars at a time (processing 2 jars’ worth through my 14 cup Cuisinart Elite at once). This recipe is for a single pint-size portion. * Note: In the US, the stuff in the grocery store spice aisle labeled “cinnamon” is not what you want here. That is the bark of the cassia tree. True cinnamon is the bark of a Cinnamomum verum tree. 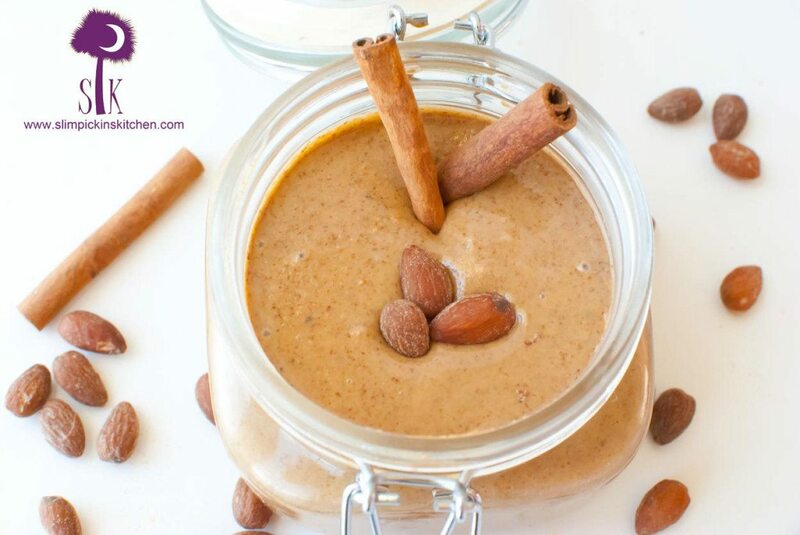 (Link: http://www.whfoods.com/genpage.php?tname=newtip&dbid=31) For this and any other recipe that uses cinnamon, I highly recommend using only Ceylon cinnamon. I use organic true ceylon cinnamon from Savory Spice Shop (Link: http://www.savoryspiceshop.com). You can feel free to try out different nut mixtures (Hello! Amber here. Just dropping in to say that I used sunflower seeds instead of peanuts b/c that’s what I had on hand, and it turned out beautifully!). After a lot of experimenting, I have found that this ratio is perfect. 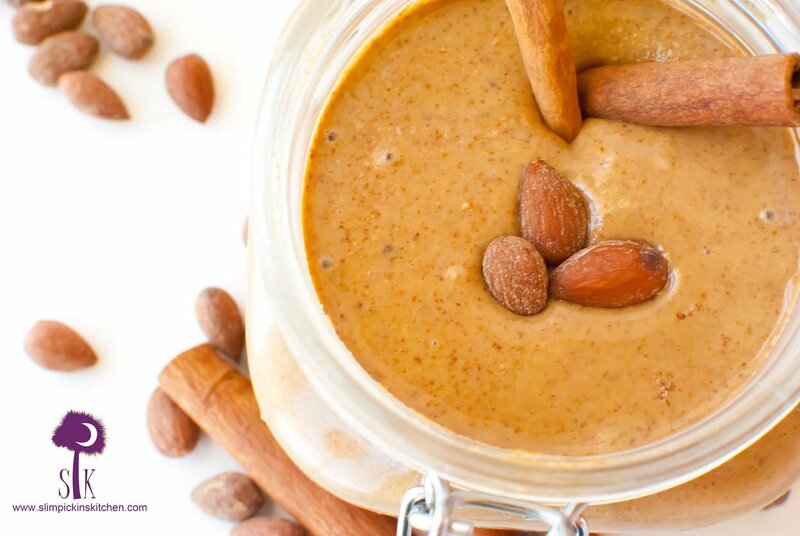 The almonds process a little smoother than peanuts and make the final product spreadable straight out of the refrigerator. There is no stirring required and no oil sits on top of the nut butter. I prefer it over the more expensive versions I’ve made with macadamias, cashews, and other nuts as well. 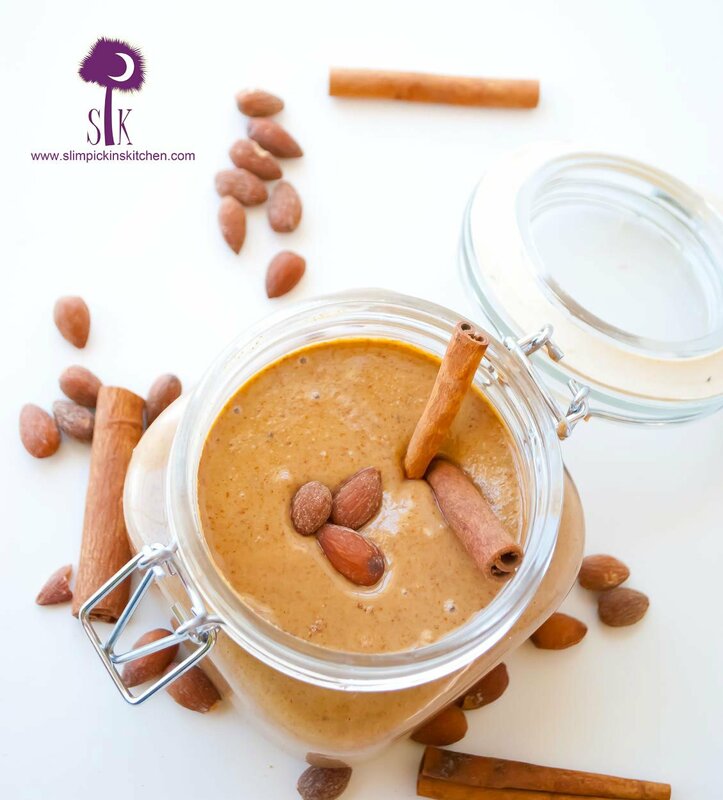 Prepare the food processor and add the almonds. Then dust the cinnamon over the almonds evenly. Add in the peanuts on top and secure the lid. Putting the cinnamon in first resulted in uneven distribution. Putting it in last resulted in cinnamon dusting the air and making a deliciously scented mess. Adding it in the middle works out perfectly. I played Goldilocks so you don’t have to! 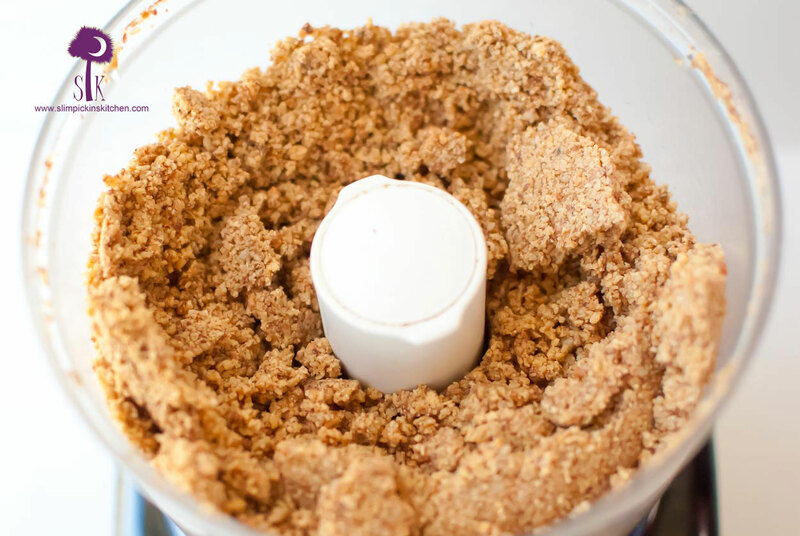 Turn on the food processor and keep an eye on it, but have patience. 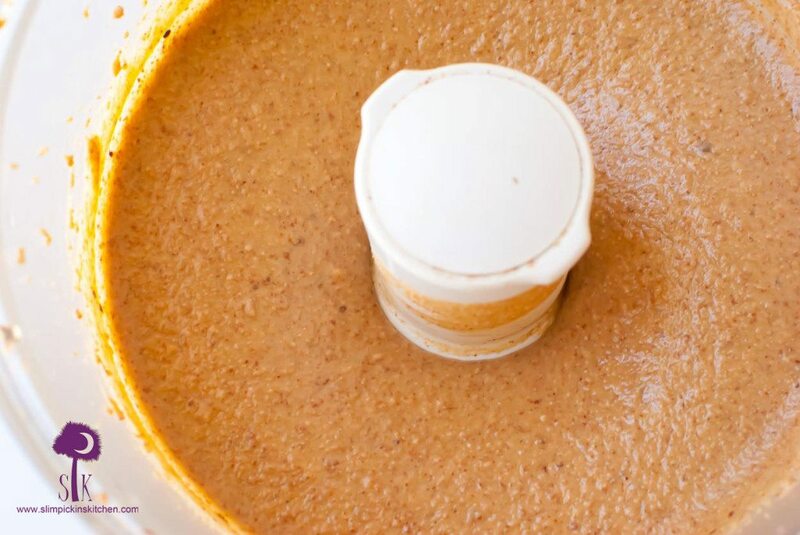 If you’ve never made nut butter before, just know that it’s normal to think, “I don’t think this is going to work” at least three times per batch. First, you will see the mixture turn to chopped nuts. Then, it will begin to look more like a meal-like texture. After a bit longer, the meal will form into a ball and will resemble dough. This is where you’ll begin to doubt yourself or your food processor. Just wait it out as long as your food processor is not overheating. You will see the ball start to smooth out and turn into a perfectly-textured peanut-almond butter. This will vary by machine, but for me, it’s about 5 minutes of total processing time total to get a very smooth consistency. Now, you’re ready to enjoy! My favorite use for this recipe is to give it as a gift in a mason jar with a pretty label, but I always have a jar on hand at home for my family. It is wonderful on toast with a bit of honey drizzled on top. You can even add some honey to your batch if you like, but fair warning: it significantly changes the texture of the final product, rendering it thick and kind of like a cookie dough texture. I’m certain it would kill the motor of many food processors, and it also looks a little odd in the jar. My preference is to add honey later when desired (because you don’t want to mess with these beautiful buttery ribbons). Refrigerate and use within 6 weeks. Be careful with how many people you let test it, because the requests come in fast and furious! Why buy store bought peanut butter again when you can make your own at home? 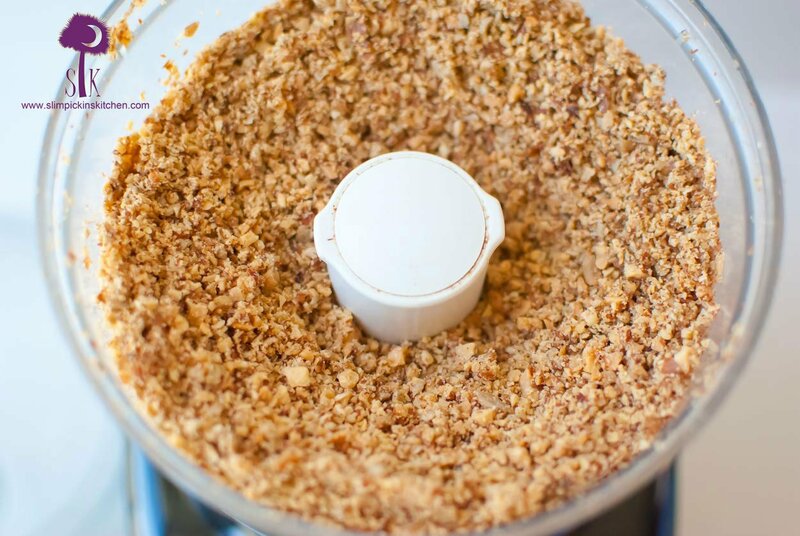 Add almonds to the food processor, dust with cinnamon, then add peanuts. Process until you reach desired consistency. This make take 5 minutes or more. Serve immediately or refrigerate for up to 6 weeks. Enjoy straight from the fridge! Amber, you are so talented! Those photos are amazing! Thank you! I checked and didn’t see any problems, but thanks for the heads up!